As a responsible company, INFRANET considers business development only within framework of economic, social and environmental responsibilities. This principle is the only source of sustainable growth of our company. Starting from 2014 Infranet Asia is a part of the United Nations GLOBAL COMPACT Agreement (first company from Uzbekistan). 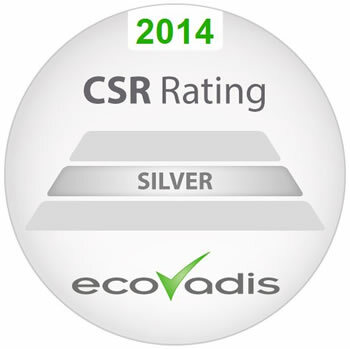 In 2014 we successfully have been granted Silver Recognition Level by Ecovadis Corporate Social Responsibility (CSR) rating. 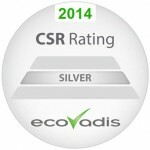 The independent evaluation conducted by EcoVadis reflected Infranet’s strong commitment to corporate governance and respect for the environment. Our objective is to create value for our stakeholders and provide services to the business partners in a safe and responsible way. Our aim is to be safety leader in our industry, a world-class network integrator, a responsible company and a good employer. We expect all our partners & contractors and their employees to act in a way that is consistent with our code of conduct. We are committed to meeting our obligations to the countries and communities in which we do business.